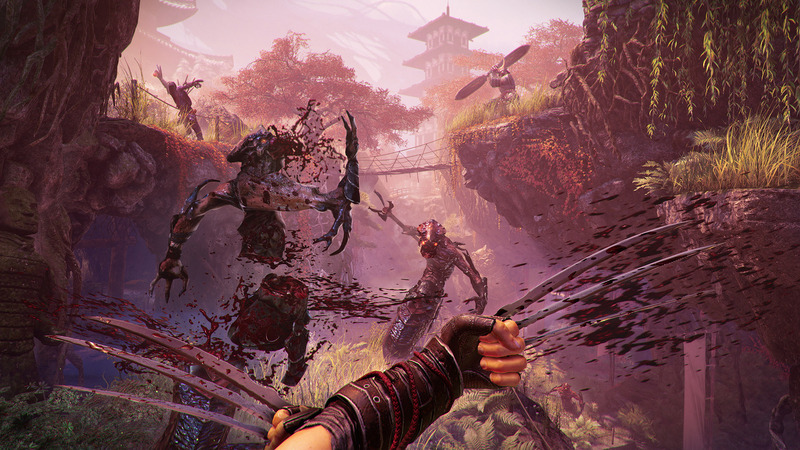 I’ve never played a Shadow Warrior game, so when I went to my appointment, I was going in fairly blind. As chance would have it, there was a short wait for the press terminal. This meant I could catch myself up on a lot of the story background with writer Scott Anderson. Scott’s job was to update the humor in the franchise - a balance of staying true to the feeling of the IP while making it feel like a modern-day game. The final result? Lo Wang is still the brash, over-the-top persona that Shadow Warrior fans expect, but with a new character that accompanies Lo Wang to balance him out. The events of the game have resulted in Lo Wang’s soul being fused together with another character (I believe her name is Kameko). She is none too impressed with Lo Wang’s attitude and neither of them are happy about their shared situation. She provides snarky comments and retorts to Lo Wang that only he can hear. The game takes place five years after the events of the previous game. The world has become a place where humans and demons co-exist. While running a simple mission, Lo Wang winds up in a situation gone horribly wrong. As expected, it’s now up to him to save the world from the forces of evil. I was dropped into the game at the beginning of a collection quest. This quest would take me through multiple areas and a boss fight, so it wasn’t as simple as it originally appeared. While Scott helped me get set up and talked me through the what was going on in the story, Jakub Opoń (an AI programmer for the game) came over shortly thereafter and took over for Scott. One of the first things I noticed about the game was just how good it looked and handled. Textures were detailed and weapons felt responsive. I had little time to get my bearings, however, as stepping into the quest area soon had me under assault by all sorts of demons. I saw several different kinds of enemies, ranging from packs of annoying little guys (when they die, they have a small chance to spawn a huge baddie - this happened to me twice!) to a huge boss. The weapon loadout allows for several weapons to be equipped, in both melee and ranged varieties. Jakub showed me a bit of the weapon upgrade system as well, which I was simply delighted by. Loot, which includes both gear and upgrades, drops from enemies. These upgrades can be applied to any weapon. Jakub demonstrated by swapping a lightning upgrade from a gun into a new set of daggers I’d found. He gleefully told me that I could now try stun-locking enemies with them. This system reminded me a little bit of Borderlands, except instead of hoping your dream weapon will drop, you get to customize your weapons instead. While I, as a long-time MMO- and ARPG-player, love the idea of farming gear in an FPS, those of you who don’t shouldn’t shy away from SW2. The game is set up so that it’s not necessary to gear grind in order to progress - it’s simply there as an option for players who enjoy that sort of thing. 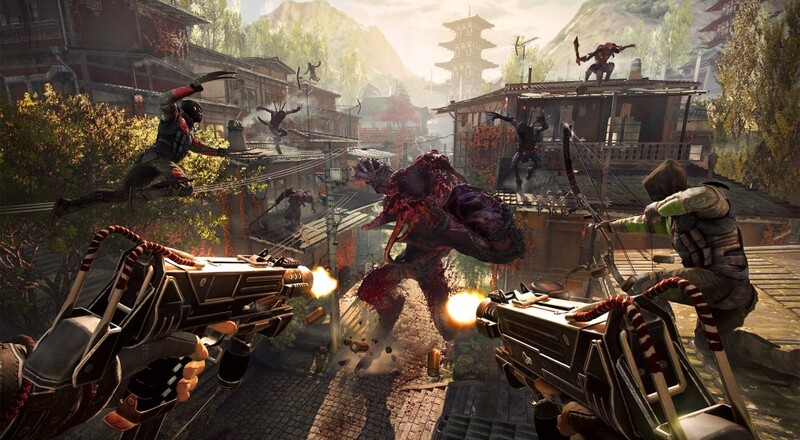 This demonstrates how the game offers different playstyle options to players, which was one of the things the Shadow Warrior team really wanted to focus on this time around. For players who want to uncover more of the story, there are collectables scattered around the levels (e.g. newspaper clippings) that a story-driven player can use to piece together more of the story and lore of the world. There are also many side quests that are strictly optional. 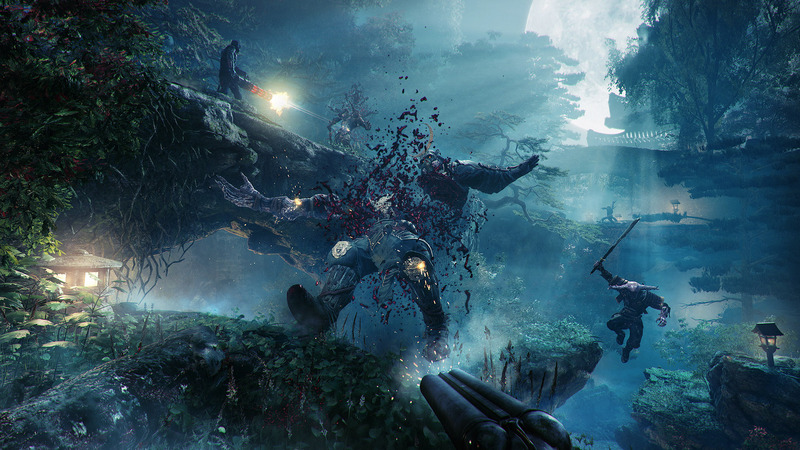 The gameplay itself is fast-paced. While the FPS elements provide the framework, RPG and ARPG elements have been woven in as well. For example, players have spell-like abilities at their disposal. In the demo, I had 4 equipped: a knockback, an earth spike, a heal, and a stealth ability. These abilities all cost a mana-like resource, which enemies have a chance to drop when defeated. There were also some shrines spread across the levels which I could interact with to heal. While the co-op mode wasn’t set up at the PAX East booth, I got the details of how it will play. The entire game will support up to 4-player co-op and it will play pretty much exactly the same as the single-player. Each player will see themselves as Lo Wang and the other players as guys from an allied dojo. The main campaign will run an estimated 8-10 hours with more playtime offered through side-quests. Since the levels are procedurally generated, I feel there should also be a decent amount of replayability. All in all, I came away from my appointment quite impressed with the game. While there was one or two rough edges (mostly having to do my unfamiliarity with the controls and the UI), I’m really looking forward to seeing more of the game on launch. 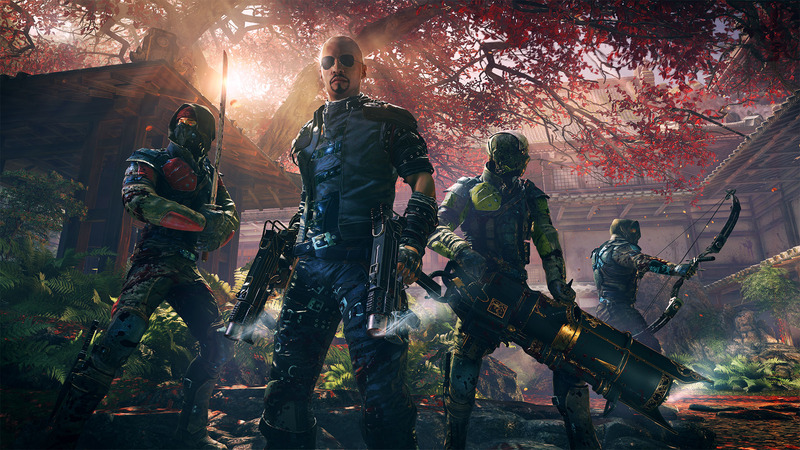 Shadow Warrior 2 will be coming out on PC, Xbox One, and PS4 sometime later this year, supporting 4-player campaign co-op online. Page created in 0.4028 seconds.